To find a work at home call center job in Connecticut, you need to focus your search on just those virtual call center companies that hire in this state. Even when employees are remote, it does matter where they are located. 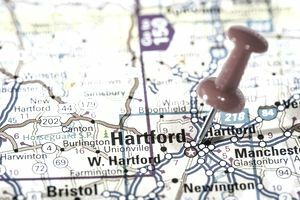 These call center companies hire for work at home jobs in Connecticut. This company hires contractors as home-based technical support agents and customer service reps to service its clients. Pay is a per-minute rate that goes up to $10/hour. Formerly West at Home, Alorica hires remote customer service employees, who are paid on a per minute or per call basis but they will always receive Connecticut's minimum wage. This financial services company's Axcess@Home program hires WAH call center agents with experience in reservation systems for its corporate travel division. Bilingual agents needed. The virtual call center program from Apple hires both college students and non-students for full- and part-time positions. Apple provides a computer and phone. This company's remote employees do sales, customer service, and business telemarketing. It also hires home-based insurance auditors and LPNs and RNs doing telehealth. BSG (Billing Services Group) specializes in providing its clients with call center agents who do third-party verification services through VoiceLog’s call recording technology. T his company hires agents, including licensed insurance agents for a variety of call center jobs for its clients including outbound sale, bilingual customer service (Spanish and French) and financial services. Agents are paid at a rate that is based on minutes of talk time plus sales incentives in some cases. Agents must become "certified" to work for individual clients. This certification is not paid. The company's work-at-home program hires home-based employees who take inbound customer service calls for its clients, providing service in billing, account inquiries, product orders or inquiries, installation scheduling or technical troubleshooting. All positions involve some sales. Bilingual agents with fluency in English, French, German, Italian, Korean, Mandarin, Portuguese and Spanish. T his company provides remote technical support to clients, via home-based tech support chat and call center agents. Its remote services technicians answer inbound calls and its solutions center supervisors support and supervise the remote services technicians. Home-based agents, who are employees, not contractors, receive inbound customer service and sales calls for a variety of this BPO's clients. They are paid for training and once started receive $9/hour. Applicants who are offered a position must pay $45 for a background check. The hiring process for these call center jobs is online and by phone. Bilingual skills a plus; languages include Spanish, Mandarin, and Cantonese. This company hires employees as inbound work-at-home agents, selling magazine subscriptions. Pay with incentives is $10-$14 an hour. Work-at-home call center employees take incoming calls and answer general questions, take reservation and/or provide roadside assistance. Work-at-home call center agents, who are independent contractors, handle a variety of calls including technical support, sales, travel and ticketing and customer service. There are also some work-at-home data entry and editing jobs.